Just in time for returning econ students, Dr. 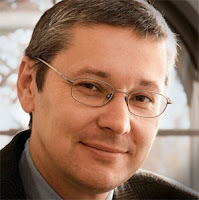 Goose has rendered the Ten Principles of Economics by Harvard Prof. Greg Mankiw (pictured) into a collection of ribald limericks. Please click through, enjoy and study hard!